Bookies have slashed the odds on Britain enjoying the hottest June on record as forecasters say a heatwave will send temperatures soaring. Rain and gales will be replaced by blazing sunshine with the mercury expected to hit 28C (82F) this weekend, rivalling resorts in the Mediterranean. Bookmakers Coral say that with the fine weather expected to last all month “we think it could be the hottest in British history”. 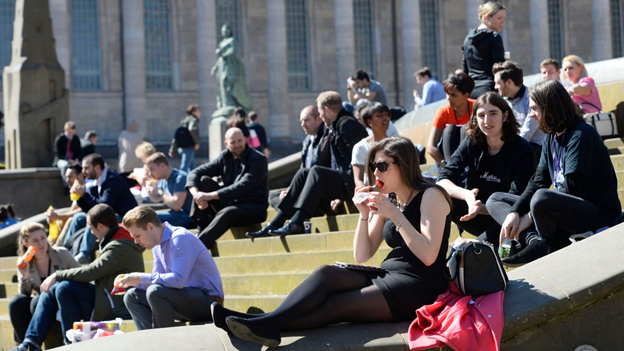 Today is the first day of the meteorological summer - but temperatures in Birmingham and the Black Country will struggle to reach 15C (59F) with brisk winds making it feel even colder. Overnight gusts could reach 50mph with similar conditions forecast for tomorrow in the storm before the calm. Temperatures on Wednesday should feel noticeably warmer in the West Midlands - although it will remain breezy - with the mercury rising higher as we head towards the weekend. By Saturday, temperatures could be in the mid-to-high 20s C - rivalling the traditional Mediterranean hotspots in Spain and Greece.